Due to the Auto Game mode, your gaming console will automatically optimize the TV settings for the true 4K HDR gaming experience. It has no analog video input, so you won’t be able to connect your old DVD player. 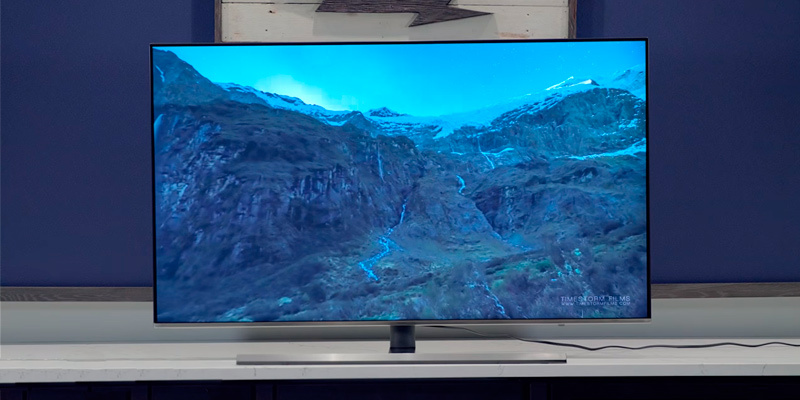 If you want to get the maximum realistic viewing experience possible, get this Samsung TV. Thanks to the HDR 10+ technology, you will see movies in a stunning high dynamic range, just as the director intended! 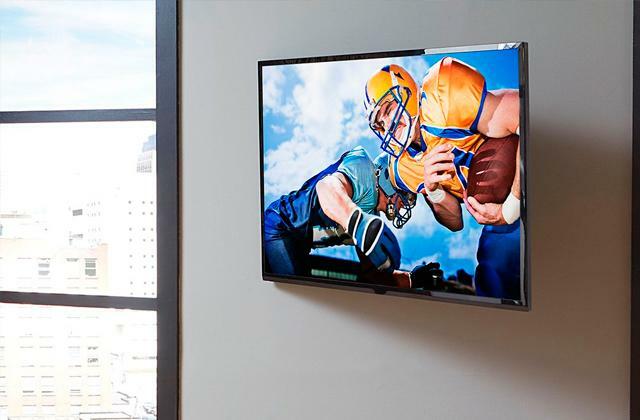 The TV provides excellent picture quality from side angles without decreasing color saturation and contrast. This is achieved thanks to the IPS panel. The stand of this TV set is a bit unstable. This TV is compatible with the AI ThinQ Smart Hub suite, meaning it’s one of the smartest models on the market today. You can connect all your smart home devices and control them with your voice. This TV can enhance your entertainment experience by allowing you to control your other smart home devices using Alexa. You can't remove advertisements from the home screen. 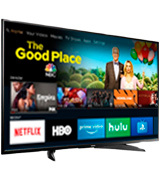 The Toshiba 55LF621U19 is a budget-friendly smart TV that can offer you much more than you'd normally expect from a product with this price tag. The TV features a user-friendly yet advanced menu with tons of settings, ensuring that even the most demanding users can set it up as they see fit. 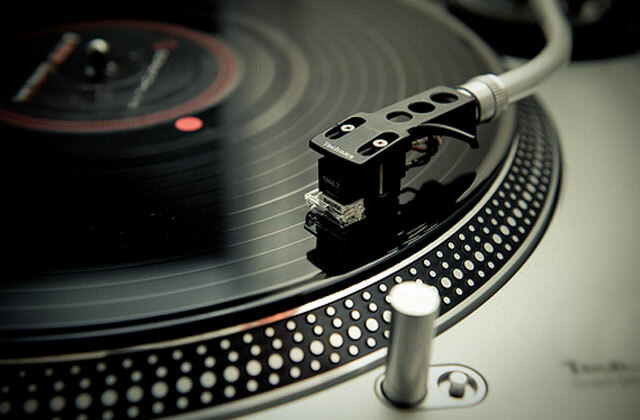 The enjoyment from having access to thousands of channels and apps is guaranteed. 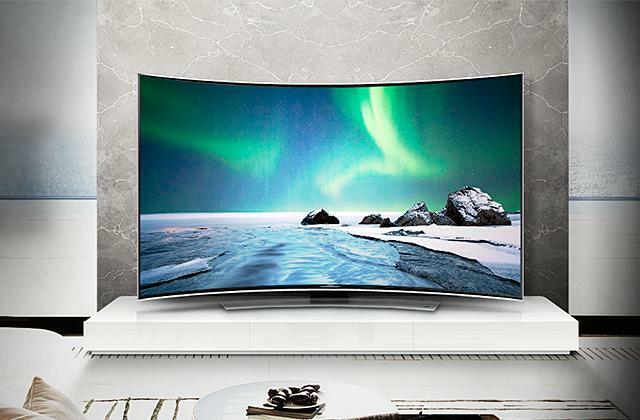 This Samsung TV uses UHD dimming technology that adjusts brightness to ensure deeper darks and brighter whites. It has too narrow viewing angles. If you would like to get a TV from the top brand but don’t want to overpay for curved display or other extra frills, choose this. It's a decent TV with very sharp, accurate, and vibrant image. The 4K Creative Pro upscaling function smartly analyzes media content to increase the resolution up to 4K Ultra HD. Speakers are on the back of the TV and direct sound backwards. Although the price of this TV is ridiculously low, it can compete with TVs from well-known brands. It delivers good picture quality and has lots of smart functions. A package with a digital antenna is also available. 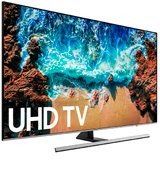 This Samsung 55-Inch TV is a premium, feature-rich model from the top Samsung's NU8000 series. It looks quite minimalistic with an extremely thin LED panel and bezel-free design. 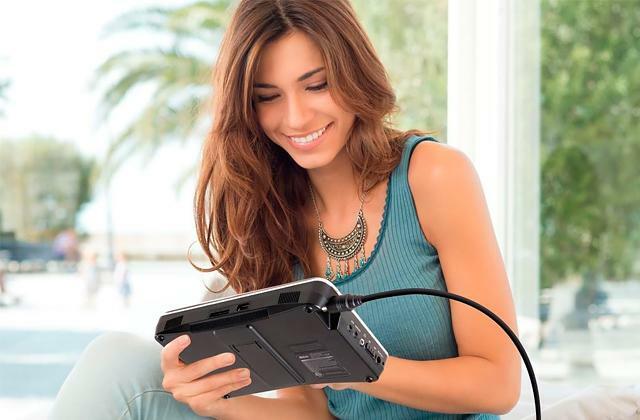 On the back, it has 4 HDMI ports, 2 USB ports, 1 Ethernet port, antenna/cable connection, an optical audio output, and a 3.5mm connector. 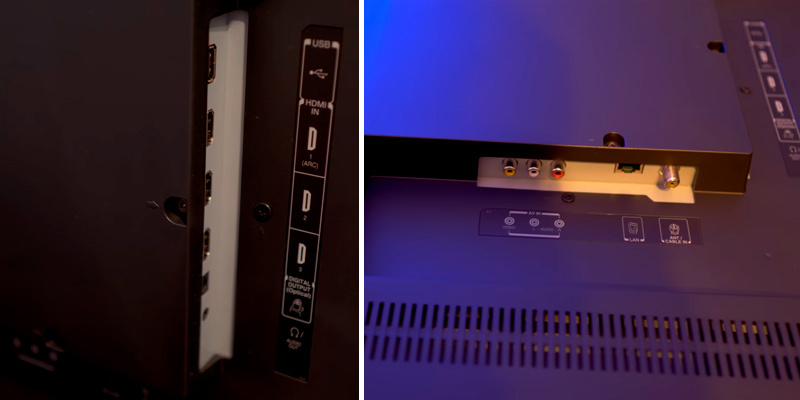 Take note that this TV has no analog video inputs, meaning you won’t be able to connect your old DVD player, VCR, or video game system. Other than that, the TV is almost perfect. 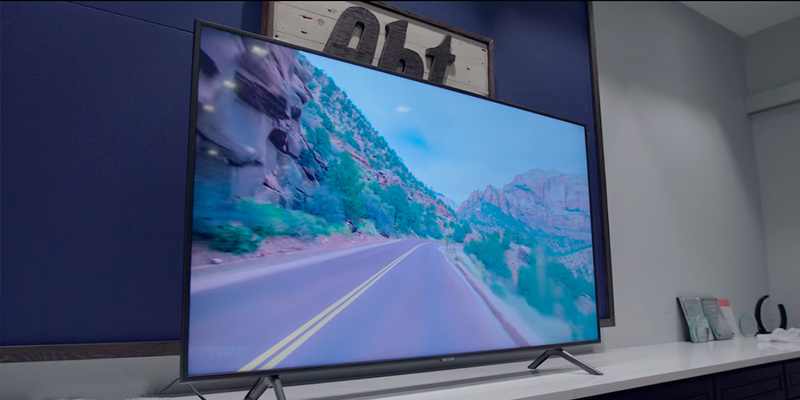 We dare say it boasts the best picture quality on the big 55-inch screen. 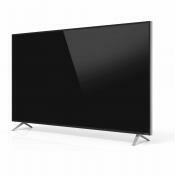 It has a stellar upscaling and conversion technology and shows ultimately crisp 4X Full HD content. Thanks to the high native contrast ratio, it produces deep black scenes quite well. And due to the wide color gamut (Dynamic Crystal Color), you’ll get stunning high dynamic range and millions of additional shades. With the 240 motion rate, the TV ensures incredibly smooth and crisp motion even in the fastest scenes or games. Additionally, it boasts the feature any gamer will definitely like - the Auto Game Mode. Your gaming console will automatically optimize the TV settings for the true 4K HDR gaming experience with super-fast refresh rates and minimal input lag. Just like other high-end Samsung TVs, this one uses OneRemote and has Bixby (voice assistance). Bixby can help you search the needed content, flip channels, or even inform you about the current weather. So, if you want to get an advanced TV with the best 4K HDR picture quality possible, this Samsung TV is a stellar option. Samsung is the leading company that redefines the world of TVs and shapes the future, delivering new ideas and cutting-edge technologies. And no wonder it’s one of the first brands that use the newest HDR10+ technology that ensures the stunning image. The technology optimizes picture quality for the highest 4K Ultra HD resolution by using dynamic tone mapping. This way, it reflects frame to frame variations in contrast, brightness, and color saturation. Rather than just increasing the brightness of the overall picture, the HDR increases contrast in various areas of the picture, creating more contrast with surrounding darker parts and delivering better shadow detail. As a result, you’ll enjoy an enhanced viewing experience that will be as close to the original intent for the content as possible. 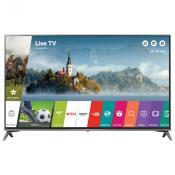 The LG Electronics 55UK6300PUE TV deftly combines great picture quality, excellent performance, neat design, and reasonable price. It has a very functional design with nice clean lines and a small bezel frame. It’s worth mentioning that some of the rear-facing inputs ( 3 HDMI, 2 USB, 1 RF, 1 Composite, 1 Ethernet) may be a bit difficult to access when wall mounted. Though, we’re sure that you’ll quickly catch the trick of connecting cables to rear inputs even if your TV is hung on the wall. 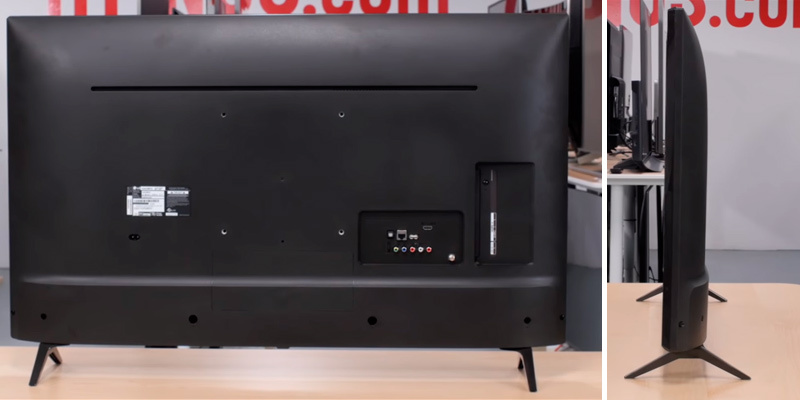 The standout features of this TV is its side angle viewing capability. Although the TV isn’t curved, it provides excellent picture quality from side angles without decreasing color saturation and contrast. This is achieved thanks to the IPS panel. However, it's worth noting that the IPS panel might hurt black levels a bit. So, if you’re a nighttime watcher, this TV might not be the best option for you. 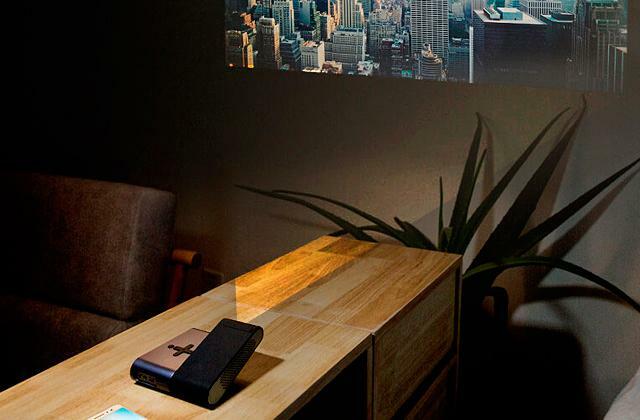 The biggest selling point is that this TV is compatible with the AI ThinQ Smart Hub suite, meaning it’s one of the smartest models on the market today. Yet, we would like to mention that if you want to get the most out of its performance, you'll need to purchase the Magic remote control additionally. With the TV, you get a standard LG remote that has new “hot” buttons for connecting right to Netflix and Amazon. Smart TV options also include YouTube, iHeart Radio, Drama Fever, HSN, Showtime, new DirecTV to name a few. Connecting is very easy and quick. 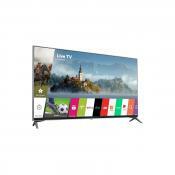 The LG Smart TV system (Web OS3.5) is one of the best in terms of speed and user-friendly interface. And if you want to get a very smooth and enjoyable experience, LG Electronics 55UK6300PUE is a sensible purchase. LG engineers have developed an ingenious display that is capable of transferring images with 98% certainty. Colors render more depth and better saturation compared to previous LG TVs. This model also has an expanded color gamut which meets HDR (High Dynamic Range) standards. 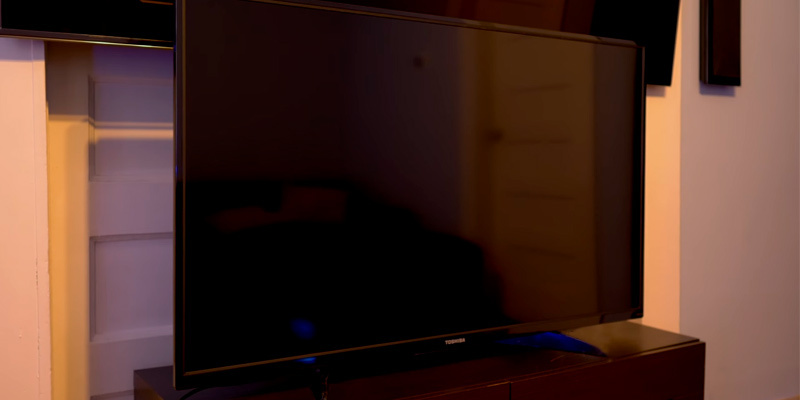 Another highlight of this TV is the new Color Prime technology that uses phosphor-based LED lighting. Right out-of-the-box, the colors might seem a bit oversaturated. However, this can be easily fixed with calibrating the picture settings. After that, you'll enjoy the perfect color balance. If you can't afford to buy a sophisticated smart TV, it's not enough of a reason not to buy one at all. Besides, the market has a decent range of models ranging from really expensive TVs to some more than reasonably priced ones. The Toshiba 55LF621U19 TV is one such great model. Cheaper than the rest on this list, it has quite a lot going for it. Let's break down the key aspects of this model. First things first, it has all the benefits of the Alexa and Fire TV streaming media platform. Using Alexa, Amazon's voice assistant, you can search for any content that you want and adjust settings on your TV - from the volume level and channels to picture settings and apps. The built-in Fire TV allows you to enjoy thousands of channels and apps including Netflix, Hulu, Prime Video, HBO, STARZ, SHOWTIME, and others. Moreover, if you get an HD antenna additionally, the TV will bring together the live over-the-air TV and streaming channels on your home screen. 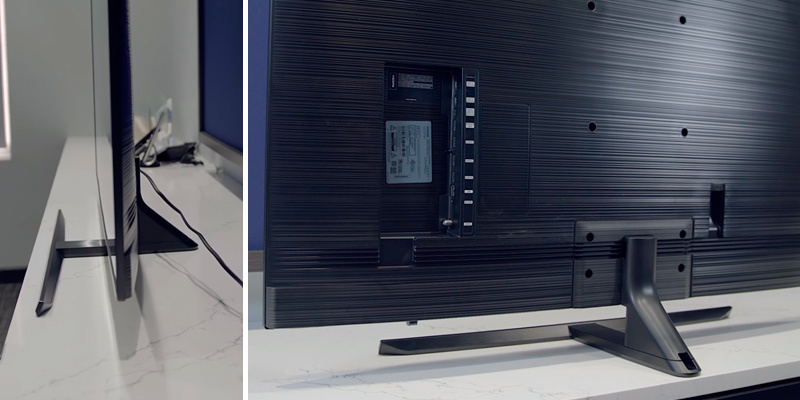 The Toshiba 55LF621U19 TV has as many as 3 HDMI ports, which means connecting an antenna won't hinder your other devices. 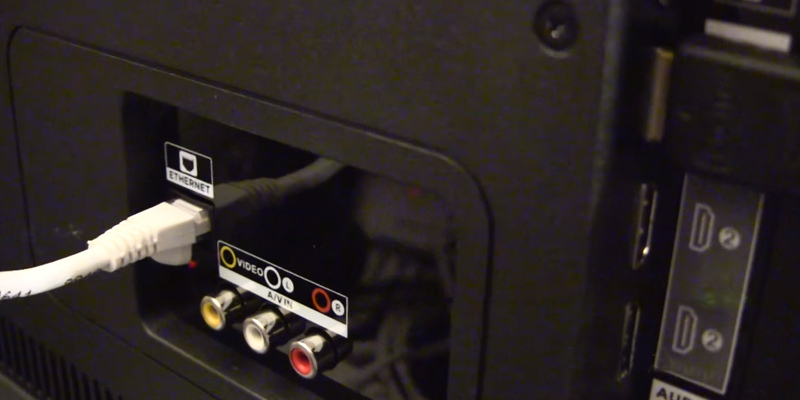 Plus, the TV has a USB port, an optical audio output, an Ethernet port, antenna/cable connector, and an RCA composite video input - a surprisingly big number of ports for a budget set. Now, speaking of cons, the Toshiba uses direct LED backlighting rather than local dimming, which results in poorer black levels and pretty average contrast. Even if you watch HDR movies, you'll get rather modest colors, and you're likely to spot distinct shadowing in the corners when the scene contains blue sky. Still, given its price, we think of it more as of a con than a real shortcoming; if you aren't a picky viewer you might not even be able to tell. As we've mentioned, the Toshiba 55LF621U19 TV offers HDR support and is compatible with HDR10. Although its quality is not top-notch it's still a great improvement in making scenes appear more dynamic, realistic, deep and detailed. So you could easily use it for playing dynamic titles as well as processing photos. Though simple overall, this TV can greatly enhance your entertainment by allowing you to control all of your smart devices using Alexa. Simply command the app what you want it to do, and it will turn on/off lights, set a temperature, lock the doors etc for you. And with the help of the remote, you can even manage your day-to-day tasks such as editing a calendar or shopping list, for example. Alexa support turns this seemingly simple and basic TV into a proper conduit to the rest of your smart home. It's a fantastic option for those who already own some smart home devices and want to control everything at once using a decent TV set. 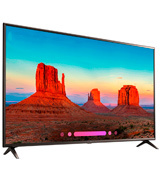 If you want to get a TV from the best electronics brand but don’t want to overpay for curved display or other extra frills, we kindly recommend you to take a closer look at the Samsung 55NU7100 Smart TV. It’s a quite decent TV that has a lot to offer. To begin with, you just can’t beat the picture quality for the price point. Depending on what you watch, you can switch between numerous presets for different picture modes. Owing to Samsung's semi-clear coat screen, the ambient light is absorbed and the image gets very sharp, accurate, and vibrant. Another proprietary technology, PurColor, allows TV to reproduce millions of shades of color and fine tune the picture according to the content you’re watching. And although the TV lacks local dimming technology, it uses UHD dimming that adjusts brightness to ensure deeper darks and brighter whites. Speaking about picture quality, the only area that’s worth improvement is narrow viewing angles. When viewing from off center, the color saturation gets worse and contrast does fade. The refresh rate is mediocre - the native panel refresh rate is 60Hz and the backlight motion rate is 120. Yet, this rate is sufficient for fast-moving content. 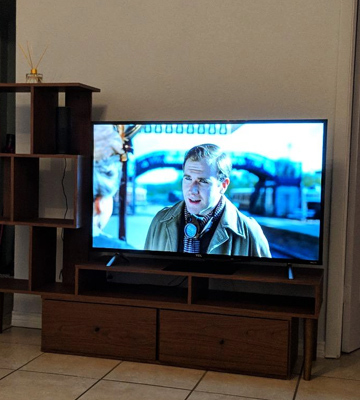 As for the sound, it’s very good for this TV. The clarity of voices is superb, which is especially important for 'older ears'. Plus, if you wish, you can fit a soundbar in front of the TV as its stand is wide enough to accommodate standard soundbars. The stand is very sturdy, so you can be sure that you won’t experience wobbling. The heart of this TV, quad-core processor, ensures fast and efficient operation. Compared to previous models, it has a bit faster speed of the Smart TV functioning and browsing. It boasts a Universal Guide that brings you the streaming content you want to watch. And not only you…. The “On TV” page allows different members of the family to log in to their own accounts and have different recommendation settings. This is a great advantage for multiple TV users. This Samsung TV has exceptionally low input lag and can support most common resolutions. It even supports chroma 4:4:4, which makes it suitable for use as a PC monitor. The TV is incredibly easy set-up, has an intuitive operation, and crispy clear picture. It’s an amazing choice for those who want the decent-quality Samsung TV that does an admirable job as a PC monitor as well. 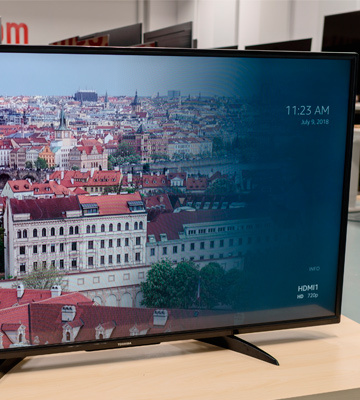 Compared to similarly-sized TVs, this one is available at the extremely low cost. 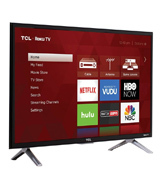 Although TCL isn't a very famous brand in the world, the company produces TVs of surprisingly high quality, and this model is no exception. It can really compete with budget Samsung and LG TVs. This model has HDR and the colors here look outstanding. 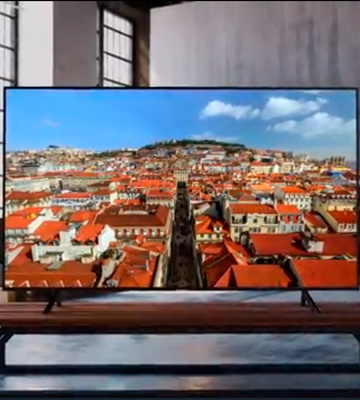 The TCL 55S405 features an HDR 10 and the 10-bit panel, thus, it can show the full-color gamut. Also, it has a 120Hz refresh rate to keep up with fast actions in 4K movies and games. Plus, it has a "Game" mode that doesn't noticeably affect the picture quality. The upscaling is good, too. It nicely upscales 1080p content to 4K resolution quality. As for the audio, the TV is good enough to play tones below 200Hz cleanly. 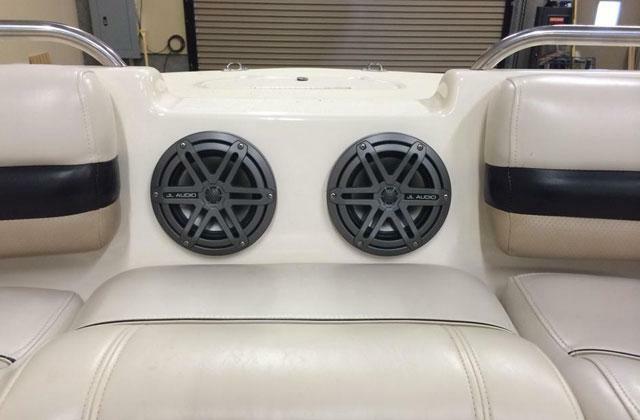 The volume gets to quite a loud level. The TV has a “Speech” mode for movies, shows, etc. 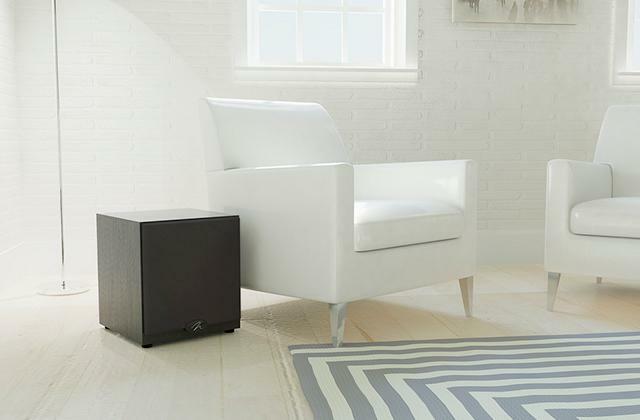 So, you won't need to turn the TV up to the loud levels, it will automatically adjust the sound to the optimal level. The TCL Smart Roku TV gives you quick access to over 4,000 streaming channels which you can access using either a remote control that comes supplied with the TV or a special app which you can download on your phone from the store. The remote control has a minimal design and features only a few control buttons, making it very easy to use, while the app allows you to access a variety of different customization options so you can adjust picture and audio settings as you see fit. 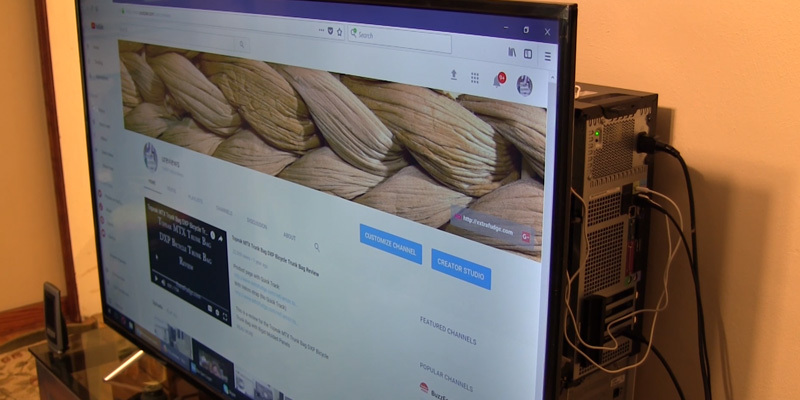 All in all, while being produced by a less famous brand, this TV isn't deprived of the most essential features and will certainly become a good choice for those in need of a 55-inch TV screen at an affordable price. Speaking of design peculiarities of this model, one of the first things you'll notice about it is its extremely lightweight. You'll be able to easily pick it up and carry by yourself without worrying about dropping it. It comes with two small feet that make it easy to place it on any surface. And if you want to, you can also hang it on a wall, it has four standard VESA mounting holes at the back. 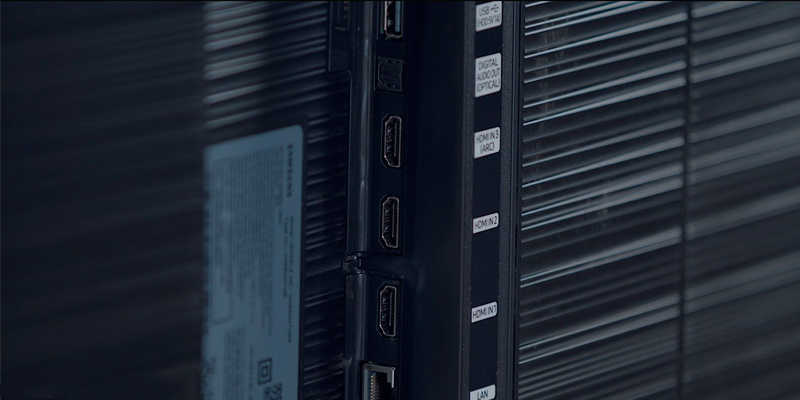 The TCL 55S405 is fitted with 3 x HDMI 2.0 with HDCP 2.2 (one with HDMI ARC), 1 x USB port, 1 x RF, 1 x composite, 1 x headphone jack, 1 x optical audio out, and 1 x Ethernet port, so it has everything to connect it with gaming consoles, cable TV, satellite TV, Blu-ray players, and other devices. 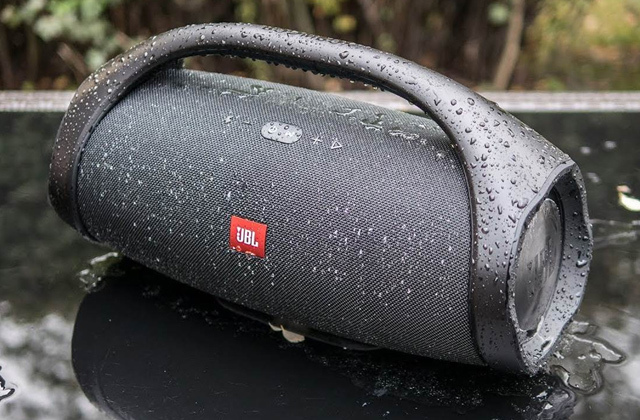 Before wrapping this review up we'd like to point out that the manufacturer offers the same model in configuration with a digital antenna, which will come in handy if you don't own one yet. What Is a 55-inch TV? Did you know that most people sit about 9 feet from their TVs? 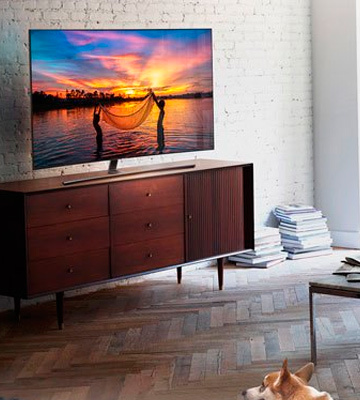 And although THX (the American company that sets audio/visual reproduction standards) recommends a TV with a screen size of around 90 inches for that distance, we believe that not everyone has enough space to install these huge TVs in their living rooms. That's why a 55-inch TV is the most optimal option. 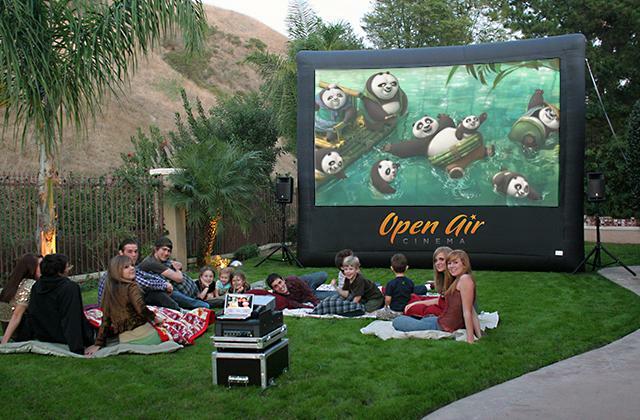 They are large enough to create an immersive experience and can fit in most lounge rooms easily. A 55-inch TV is 26.9-inch high and 47.8-inch wide. Yet, if you still hesitate what TV screen you really need for your room, you can refer to this chart. 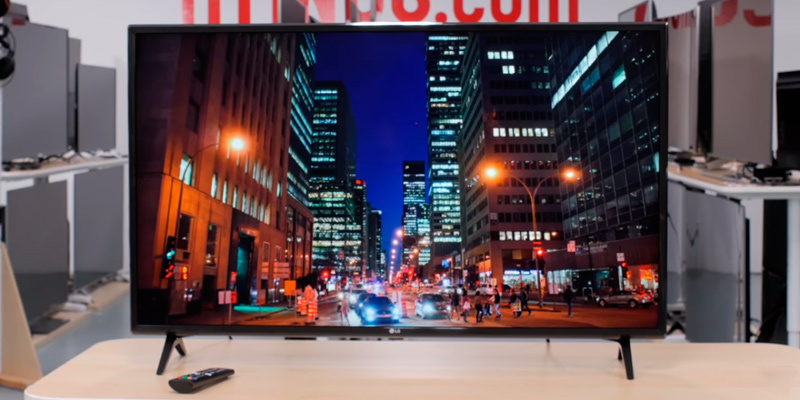 Currently, there are tons of different model on the market, and to simplify your choice a bit, we have rounded up the best 55-inch TVs for any budget. You'll find here different models with both flat and curved screens, Full HD and Ultra HD resolutions. 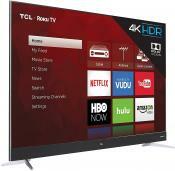 And if you also need an additional TV for your kitchen or bedroom, you might be interested in the top 32-inch TVs. 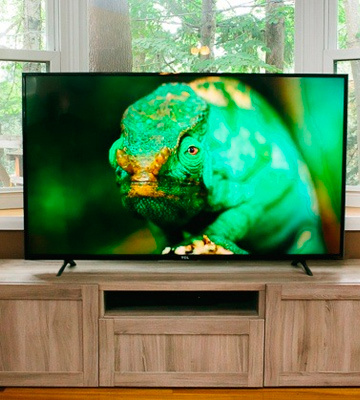 The very first thing to consider before getting a TV is a screen resolution. It's the number of distinct pixels that are displayed on the screen. And the higher this number is, the better the picture will be. 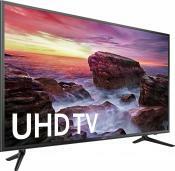 Nowadays, most 55-inch TVs have Full high-definition (Full HD) resolution or Ultra-high-definition (UHD) resolution. 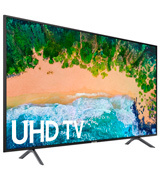 The most affordable TVs have HD (1280p x 720p) resolution which while being low by new standards might be enough if all you need a television for is watching TV shows. In fact, many popular American channels such as ABC, Fox, ESPN, and others are broadcasted in HD resolution only. And this isn't likely to change soon. The majority of modern 55-inch TVs use Full HD resolution (1920p x 1080p) that is quite good for watching movies, sports events, and similar video content. And the most sophisticated models have the best 4K UHD resolution which delivers extremely crisp and sharp picture. No wonder that these TVs are the most expensive either. We also recommend you to have a look at the refresh rate. The higher it is, the less motion blur you'll experience in moving action scenes. If you want to get the most immersive experience possible, choose models with curved screens. They will add some sense of ‘depth’ in everything you'll watch. This way, you'll feel more like watching 3D content instead of 2D, as the curved picture "wraps around" you more. If you want to get a flat-screen TV, try to choose those that have minimal bezels so you can enjoy the almost edgeless image. Also, it's important to select the frame that matches your room interior. 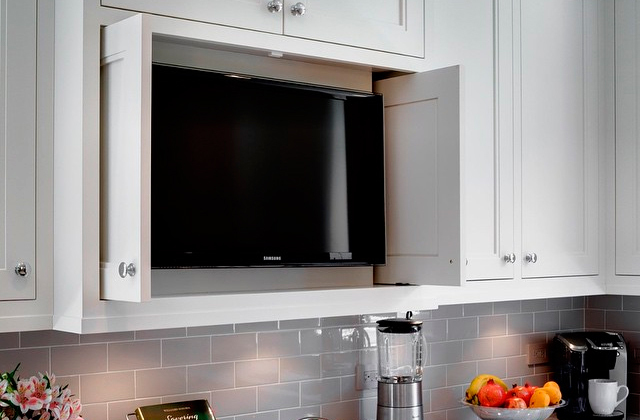 If you're going to mount a TV on the wall, opt for models that come with articulating/tilting wall mounts. 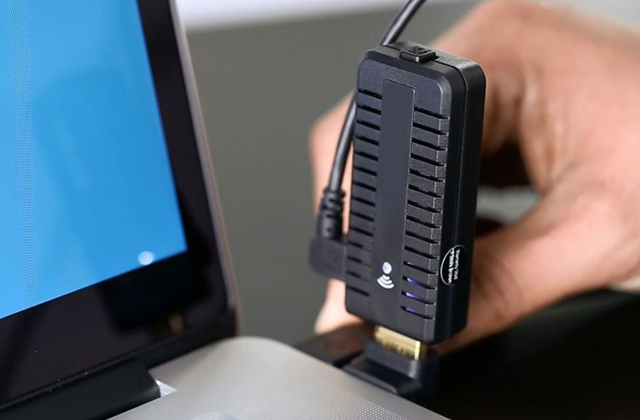 Don't forget to check the TV interface and ports available for connecting HDMI cables, satellite receivers, Blu-ray players, game consoles, and USB drives. Last but not least, you should decide whether you're ready to invest in a smart TV. By Smart TV, we mean a model with built-in Wi-Fi and access to the Internet, accordingly. 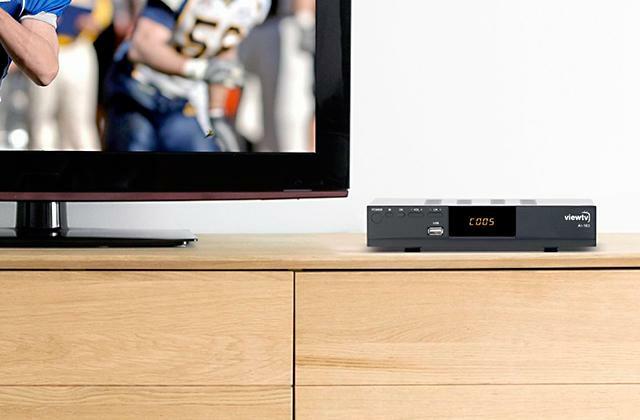 These models offer plenty of streaming video content without TV antennas or subscription to cable/satellite services. Smart TVs come with various pre-installed apps and allow for downloading more off the Internet. Finally, you if you're going to watch 3D at home, you should get a 3D-enabled model. Although TV models of this type are considerably more expensive than ordinary ones, they provide the kind of immersive experience no other TV could possibly rival. You know for sure that most cinemas give you polarized glasses for 3D movies. However, do you know what 3D technology they use? But before we answer this question, first things first, let's find out what 3D actually means. 3D is three-dimensional pictures that have the width, height, and depth. And to see the "depth" from your 3D TV or cinema screen, your each eye should receive slightly different information. To put it simply, your left eye will see information meant for your right eye, and vice versa. There are two ways to deliver different information to your eyes: by using active and passive 3D. Active 3D technology uses shutter glasses powered by batteries. They do exactly what their name implies - they are constantly shuttering open/closed. Thus, the information intended for your left eye is blocked from your right eye with a closed shutter. Active 3D can be used on LCDs, LED LCDs, plasmas, and home projectors. The only requirement is the ability of the device to refresh at least 60 FPS (frames per second). Passive 3D uses less expensive polarized glasses and passive 3D TVs are equipped with a special filter that polarizes every line of pixels. This filter makes some lines on the screen visible to your left eye only and others visible to your right eye. Without wearing the glasses, your TV will look like a standard one. You can find Passive 3D on LCD and LED LCD TVs. Another difference is that your eyes get the Full HD (1920 x 1080 pixels) resolution with an active 3D, and only 1920 x 540 pixels with passive. Yet, active battery-powered shutter glasses are usually much heavier and bulkier. Many people still believe that LEDs and LCDs are completely different types of TVs, but actually, an LED TV is a type of an LCD TV. And the whole name should sound like “LED-backlit LCD TVs” but since it’s too much of a mouthful for daily conversations, people just call them LED TVs. Both these types use a liquid crystal display (LCD) to control backlighting of the screen. The panels include two layers of polarizing materials with some liquid crystal solution between them. With all that out of the way, you may still wonder what's the difference between LCD and LED TVs. In fact, the difference was - LCD TVs are no longer produced. Back then, though, in order to backlight the screen, older LCD TVs were made with cold cathode fluorescent lamps (CCFLs) while LED TVs used small and much more energy-efficient emitting diodes (LEDs). 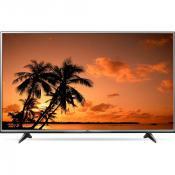 Now, all LCD models use LED lights and thus are regarded as LED TVs. Aside from these two types, you can also find QLED and OLED TVs, however, these are equivalent to traditional LED TVs and use a few advanced technologies allowing them to deliver infinite contrast and more saturated colors. How to Connect a Phone to a TV? Today, you can mirror photos, videos, or whatever’s on your phone display to your smart TV. The main requirement is that both your cell phone and TV are on the same Wi-Fi network. Also, your phone should have a Screen Mirroring (or Smart View) function. If your phone has this feature, your TV will seek out it and connect to it in seconds.